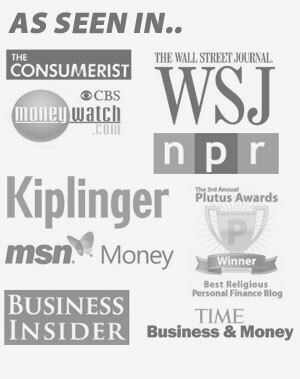 I attended the Financial Blogger Conference last year, and while I was there I met a ton of great personal finance bloggers, reps from financial companies and financial journalists. It was a great time, and I've already bought my ticket for this year's conference. While the conference was a great time, there was so much to do and so many people to meet that in all the hustle and bustle it's easy to forget some of the great products and people that I met while I was there. A week or two ago I was contacted by one of the reps I met at the conference to see if I wanted to try out their website, and since I had said I'd give it a try last year, I signed up. So let's jump in and do a review of the SaveUp Rewards program. SaveUp is a rewards program that encourages people to save, pay off debt and make positive changes to their financial lives. In other words, it's not like your typical credit card rewards program that encourages you to wrack up spending to earn a reward in return. Founded in 2011, SaveUp is the first, free nationwide rewards program that encourages Americans to save money, pay down their debts and make positive changes to their financial behaviors. By partnering with major consumer brands, SaveUp gives players the opportunity to win exciting or life-changing prizes for performing positive financial actions. Unlike traditional rewards programs, which focus on driving consumer spending, SaveUp is pioneering a unique rewards model to help Americans build their assets and lower their debts. With every positive action taken, such as funding a savings or retirement account; making credit card, loan or mortgage payments; engaging with educational content on the site; or getting friends and family to join; SaveUp users earn credits that can be redeemed for a chance to win prizes ranging from retail gift cards, consumer electronics, home or wardrobe makeovers, luxury vacations, college funds, a car or even a $2 million grand prize. 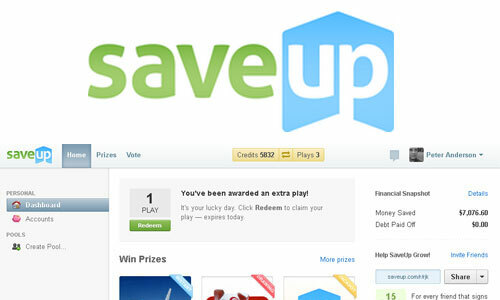 So with SaveUp you can earn rewards points for doing things you're probably doing anyway. Saving up money for your emergency fund, paying off your credit card and other debts, and turning your financial situation around. You can also earn rewards points by watching educational videos, referring other users or answering survey questions on the SaveUp site. 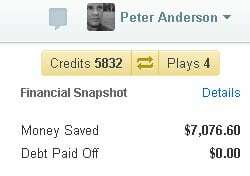 So how does SaveUp track how you're doing on your savings and debt payoff goals so they can award points? You link your financial accounts like you would with Mint.com or another financial aggregator, and give SaveUp read only access so that they can award you every time your balance increases, or your credit card balance goes down. Once you've earned points you can use those points to enter drawings and get a chance to win one of their many prizes they've got on their prizes page. 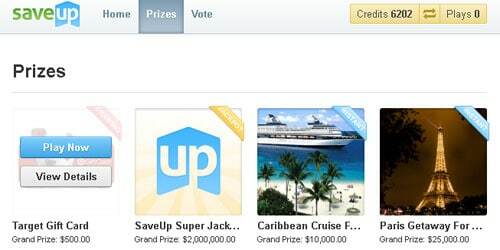 You can win things like gift cards to Target or Best Buy, a Caribbean cruise or other travel, or $2,000,000 in cash. You'll get several chance to play every day. How are they able to offer the cash and prizes and keep the site free? They partner with companies to provide many of the prizes, as well as getting revenue from certain product suggestions when you answer financial questions on the site. It's a similar revenue model to sites like Mint. The signup process for SaveUp is super easy, and free. If you've got a Facebook account all you have to do is login with that, and you're set to go. Otherwise just enter some basic information. If you signup through the link below SaveUp has agreed to give Bible Money Matters readers an extra 100 credits for signing up through my link. After you've signed up for your account you'll be taken into your dashboard where you'll be able to see a snapshot of how many credits you've earned, how many plays for prizes you have available for that day, and how much you've saved and paid off. Before you can start earning any real rewards points you'll need to link your financial accounts. If you've ever used Mint.com, Adaptu.com or other financial aggregators you'll be familiar with how this works. You'll just enter a username and password for every account you want to link, and then possibly answer a couple of security questions. Once you've done that you should be set to go. To test the site I added accounts from Ally Bank, ING Direct, Perkstreet Financial and Betterment. All were recognized and added to my SaveUp account without issue. Once you've added your accounts into the interface getting rewards points for doing things you're doing anyway is pretty easy. If you make a deposit into one of your accounts, you'll get credits for doing that. Make a debt payment and reduce the balance, you'll get points for that too. You can also play games, watch educational videos and do other things on the site in order to earn more rewards points. Once you've earned rewards points, you'll be able to start entering to win prizes. By default I believe you have 3 plays every day. When you play to win you'll have several options. There are instant win games where you can win prizes instantly, things like Best Buy gift cards, trips, cars and more. There are also prizes you can win in monthly drawings. And of course there's the 2 million dollar jackpot that I've entered a couple of times. I haven't won anything yet, but you can see that plenty of people are winning prizes in the daily and monthly drawings. You can also suggest or vote for future prizes on the “vote” tab of your account, and if your prize is chosen you win more credits! SaveUp seems like an interesting idea, helping people to make better financial choices by encouraging saving and debt payoff with chances to win prizes. While not everyone is going to win one of the big prizes, I can't see any harm in signing up for an account and giving it a shot. It doesn't cost a thing, and it's kind of fun to get that encouragement for making good choices when you login to your account. Sign up through the link or banner below, and get an extra 100 credits for signing up through us. Good luck! 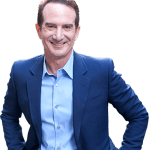 David Bach's latest book Debt Free For Life: The Finish Rich Plan for Financial Freedom, is full of solid financial advice. Here's a review. Previous Post: Are You Behaving Like A Future Millionaire, Or Aiming To End Up Broke?